We want to hear your ideas for “Our Future Carterton”. Leading up to Christmas our elected members will be out an about connecting with the people of Carterton about key issues that they believe should be included in our Long Term Plan. 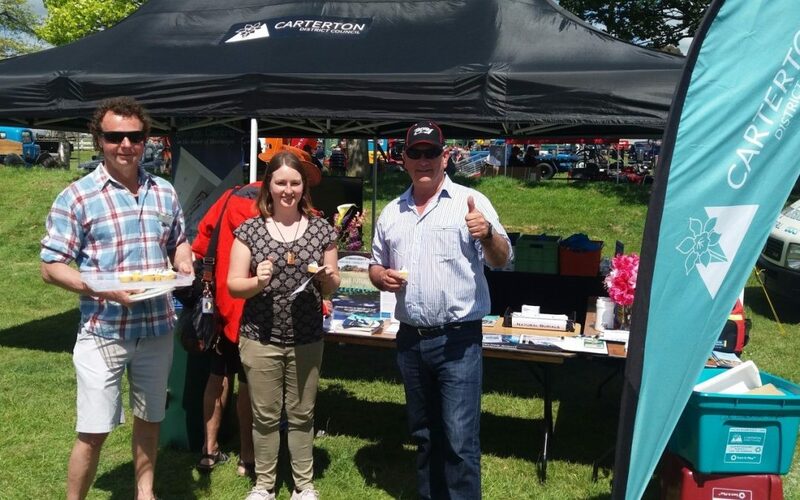 Councillors recently attended the Wairarapa A&P Show to chat with residents about their big ideas! Other opportunities to chat with councillors will be posted on our Facebook page. In the mean time we encourage you to start considering your ideas and then share them with us. Email us at connect@cdc.govt.nz or the next time you are passing the Events Centre, pop some of your ideas up on “Our Future Carterton” whiteboard.